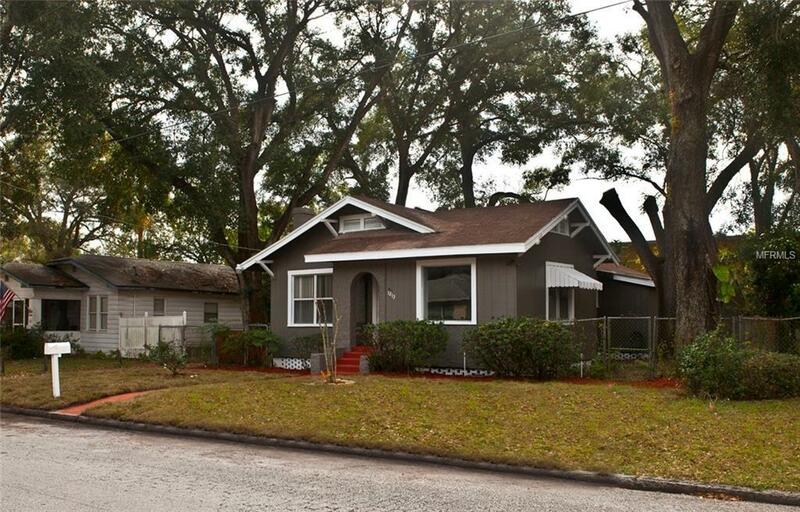 This is a beautifully renovated 1925's Seminole Heights Bungalow. Walk into your open floor plan where natural light pours in from the original, newly refurbished, wood framed windows throughout. The beautifully laminate floors in the living room, dining room and bedrooms invite you to come in and make yourself at home. A new Kitchen sink, shaker cabinetry, brand new appliances, sparkling granite counter tops and pantry. This home has 3 nicely sized bedrooms; (1 Master bedroom with a private bath and spacious walk-in closet) both bathrooms contain beautiful granite vanities. Bring the family, the dog and the barbecue your spacious and private yard. Has a separate one car garage, and a storage room as well. This property has its on well and a sprinkler system.This is an Amazing Opportunity that will not last long! So, schedule your private showing today!